– About 25,500 people live in the municipality. 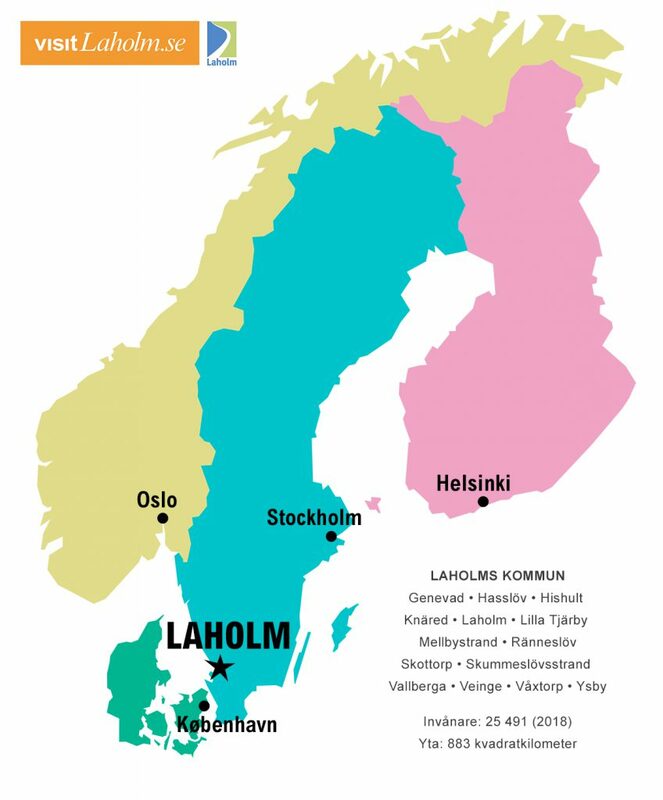 Laholm (Laholm’s town) is the largest urban area with just over 6700 inhabitants. – The town dates back to the 13th century. – The municipality’s total area is 883 square kilometers, of which approximately 221 is agricultural land. – Agriculture employs 8 percent of Laholm’s gainfully employed, which is well above the national average of 2 percent. – Almost 80 percent of the population lives in villas or small houses. – On September 27, 1940, the city council decided that Laholm should be pronounced LaHOLM, with emphasis on the second part. – Osbeck’s High School, like Osbeck’s beech forests, is named after Carl Linnaeus’ disciple Pehr Osbeck (1723–1805) who worked as a priest in Hasslöv. – Lagan, which passes the town center and flows into the sea near the border to Halmstad, is Halland County’s largest river. – Laholm’s coat of arms are, not surprisingly, adorned with three salmons (salmon is Halland County’s landscape animal).